- UV Sensor is ideally suited for detecting all types of flame, namely flames due to Gas / Coal / Oil fired burners in Boiler and Furnaces. 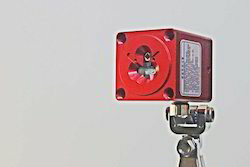 Jaypee Safety Systems Pvt Ltd.
We are a unique name in this industry and provide our prestigious clients an exclusive range of Flame Detector. • The Infrared Spark Detector continuously scans the Cotton plucked by the Bale Plucker in the duct as it searchesfora spark. • When a spark passes the detector, it sends a signal to the control panel, which simultaneously activates the water spray solenoid valve. Our company has gained name and fame in presenting Flame Detector. 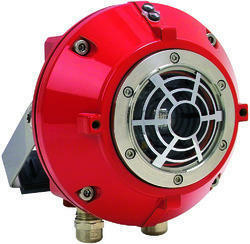 We offer our customers with uv flame detectors that are highly sensitive instrument for detecting flames / electric spark. Our expertise lies in offering various fire models that are made available to detect & control the presence or absence of flame. Flame Scanner system Manufactured by BCPL has been tested, approved and certified by ETDC, Govt of India. The Scanner Housing is IP65 certified. The model FS10-R30 is a microprocessor-based, unitized flame detector with Nordson relay/indicator panel that provides advanced, reliable fire detection, monitoring and process shutdown capability in powder coating operations.